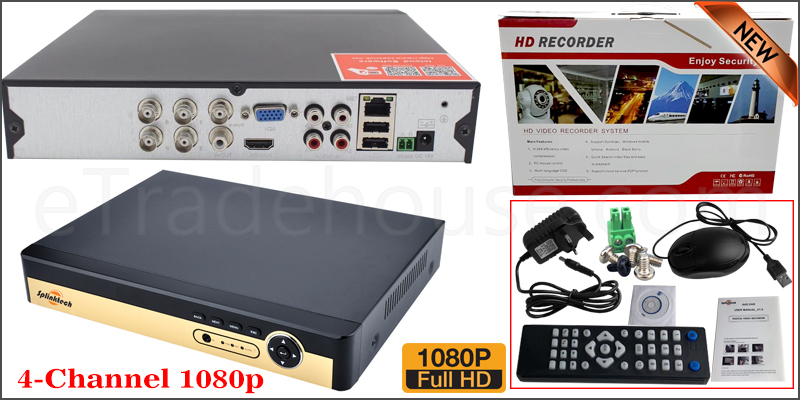 · Support both AHD camera, Analog camera and IP camera input (Support up to 1080P CCTV analog camera and 1080P IP camera input). · NVR CVI TVI HVR AHD 5-in-1 function, support both AHD camera and analog camera input. · Support many kinds of Web browsers.(IE/Chrome/Firefox/Safari)? · Support motion detection record and push notification. · Plug and play use, no need any complex installation. · Support 4 channel simultaneous live viewing via your smart phone.